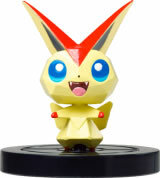 Pokemon Rumble U is a beat em up game and the third title in the Pokémon Rumble series, and the first Wii U game to feature the NFC (Near Field Communication) feature, which allows you to scan Pokémon figurines/amiibo's, unlocking their respective Pokémon. Pokémon Rumble U, also called Pokémon Scramble U when roughly translated from Japanese, shares a lot of mechanics with its predecessor Pokémon Rumble Blast. 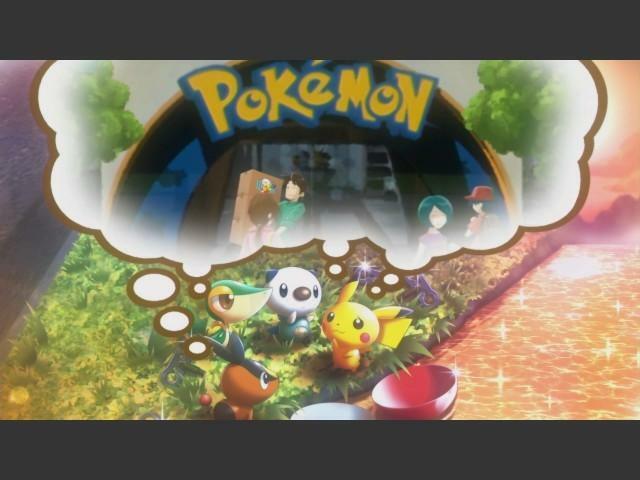 The game has a small element of story to it, the story begins when some Pokémon capsules from a Toy Shop get thrown into a river and the four Pokémon Pikachu, Oshawott, Snivy and Tepig emerge from them and have to find their way back to the shop, battling several enemies in different arenas on their way. The arena's can now have as much as 100 Pokémon fighting at the same time, with a Boss Pokémon battle at the end of each arena. Beating the boss will allow the player to advance through the game and unlock the next arena. 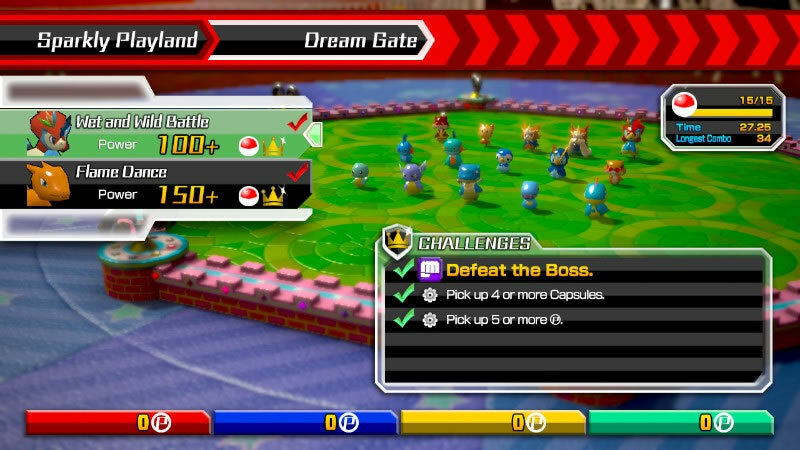 Additionally, the game sees the return of the multiplayer function, that was removed in Pokémon Rumble Blast, allowing up to four players to play the arenas together. 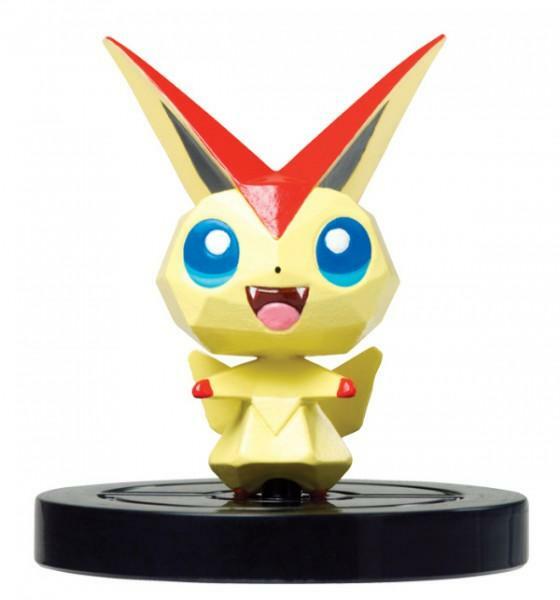 Many new Pokémon have been added to the game, and they're still featured with chibi-like 3D models. The graphics of the models themselves has improved compared to the other two rumble games, the same aslo applies to their animations and the skill animations, as many visual effects have been added. On the sound level, the music new tracks were added, although they still sound similar to the previous ones. Pokémon Rumble U is the tale of the Toy Pokémon’s great adventure: after a mishap in the Toy Pokémon Shop, a few Pokémon capsules are swept down a river and washed up on a strange riverbank. Our heroes set out to find their way back to the Toy Pokémon Shop. Along the way they discover all is not right: can you help them discover why some of the Toy Pokémon are fighting each other, and what the enemy Pokémon are plotting? Up to four players can enjoy multiplayer battles, featuring co-operative play to defeat the strongest enemies with teamwork, or friendly competitions to see who can defeat and befriend the most Pokémon. 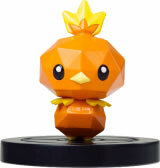 Pokémon Rumble U features every last one of the 649 Pokémon that have been discovered as far as Pokémon Black Version 2 and Pokémon White Version 2, and hundreds of moves to master in battle. And the more Pokémon you defeat, the more Pokémon you can befriend, each with different strengths and weaknesses that will shape your battle strategy. 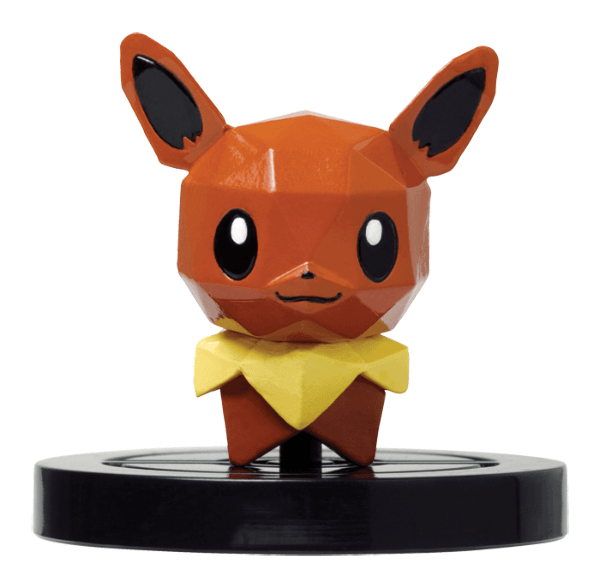 An NFC Compatible Eevee Figure! All the fun of the Pokémon Rumble series comes to Wii U! 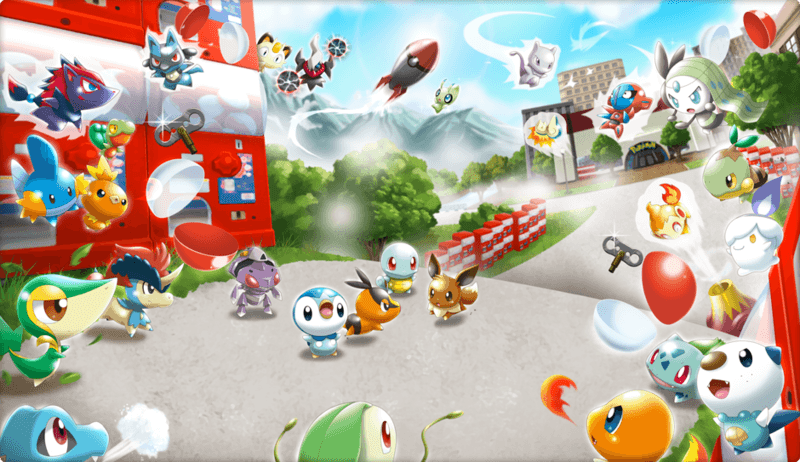 An artwork featuring lots of Pokémon getting ready to rumble. All the Pokémon from the first to the fifth generation are present in game, with a total of 649 Pokémon. 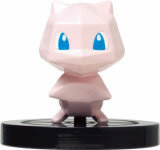 They can be obtained either by befriending them, or through passwords or through the NFC feature. Red Poké Ball: Awarded after finishing an arena. 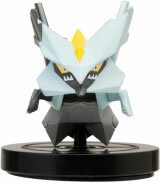 It unlocks a normal level Pokémon from the last battle. Gold Poké Ball: Awarded after completing an arena. It unlocks a Pokémon of higher level than the last battle played. 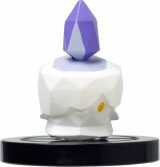 Crystal Poké Ball: It can be either awarded after fulfilling the challenge tasks of the last battle, or as a random reward at the end of the level, like the two previous types. 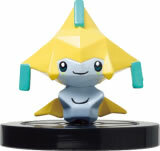 It unlocks a Pokémon of a much higher level than the played battle. Master Ball: A rare Poké Ball that is sometimes dropped into the battlefield. 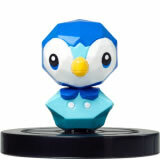 If it is thrown at a Pokémon, they'll be automatically befriended. The Pokémon caught will also have a level similar to those found in Gold or Crystal Poké Balls. 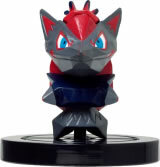 The NFC Feature: As mentioned earlier, with the help of the NFC Function, players can scan the Pokémon figurines they bought at stores and unlock the Pokémon in game. These Pokémon will come as a stronger version of those present in game and will have a special aura displayed around them, along with special abilities. 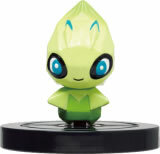 They can also be customized, as their stats, moves and abilities can be upgraded. 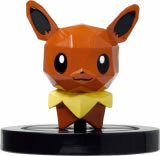 The figurines can also play the role of a Pokémon Storage system, since the player can rescan his customized and enhanced Pokémon back into the figurines, which allows to use them at a friend's console. Even if you're already in a battle, scan one of these figures and they'll appear ingame and help you! There four locations, each having 3-4 arena battles. Successfully clearing an arena battle, unlocks the next one. 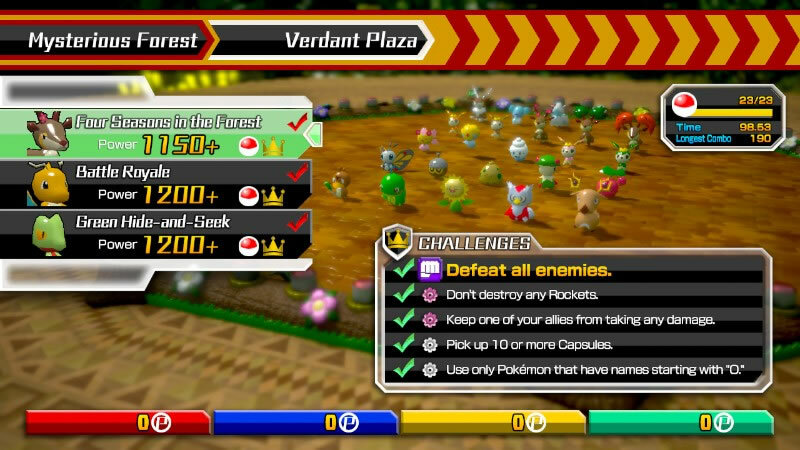 Arenas are composed of different stages, with each stage having a boss the player must defeat, along with a set of challenges that will unlock a special Pokémon once completed. Dream Gate: It is the first arena battle the player will encounter. It has two stages, the "Wet and Wild Battle" stage where they will battle the boss Pokémon Keldeo, and the second one, "Flame Dance" Stage, where they'll battle Charizard as a boss. The first stage must be completed in order to move to the second one. Completing all the challenges of the first stage will unlock Blastoise, while clearing all those of the second stage will unlock Typhlosion. Jungle Area: Within this arena, there are three different stages : "Serperior Jungle", "Dangerous Rockets" and "In Trouble? Tap Away! 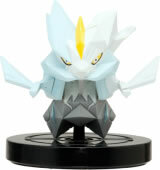 ", with their respective bosses Serperior, Luxray and Salamence. Like all the arena battles, finishing a stage unlocks the next. Clearing all the challenges of the first stage unlocks Sceptile, while finishing those for the second one unlock Haxorus and as for the third stage, Snorlax will be the challenge reward. Adventure Area: It has also three stages : "Sweet, Light, and Fluffy", "Unexpected Land" and "Grab and Go!" with their respective bosses Altaria, Groudon and Torterra. 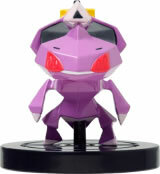 Tympole is the challenge reward for the first stage, Garchomp for the second and Conkeldurr for the third. Aquatic Hill: Within this area the three bosses Manaphy, Typhlosion and Gyarados are fought, in their respective stages : "The Colorful Park", "The Floors Are Hot" and "Magikarp Is Alll You Need". Clearing the challenges for the first stage will award Stunfisk, Zapdos for the second stage and Magikarp for the third one. Frenzy Square: The three bosses Seadot, Meowth and Walrein are fought within their respective stages : "Make Big Splash", "Guard The Fort" and "Race Against The Clock". Lapras will be awarded for completing the challenges for the first stage, Moltres for the second and Articuno for the third. 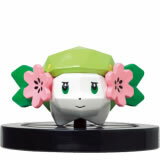 Flower Garden: The three bosses Clefable, Duskull and Celebi are fought their respective stages : "Festival On Mount Moon", "Guardians Of The Flower Patch" and "The Garden At The End Of Time". 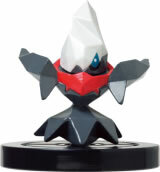 Darkrai is the reward for the first level challenges' completion, Volcarona for the second and Shaymin for the third. Model Train Room Here Venusaur, Gardevoir and Klinklang are respectively battled in "All Abroad", "Rush Hours" and "Working Gear". Regirock is awarded after finishing the challenges of the first level, Rhyperior for the second and Registeel for the third. Locomotive Cafe: Only one boss will be fought here in the final stage. There are three stages : "Dash Race", "Bonus Round" and "Boom! Boom! Boom!". Togepi is awarded after clearing the challenges in the first stage, Unown for the second and Whismur for the third. Vehicle Gallery: An arena where the four bosses Hydreigon, Milotic, Tynamo and Sigilyph are fought within their respective stages : "Spike Ball Alert", "Slithering Trains", "The Electrifying Tynamo" and "A Flower Desert". The Pokémon rewards for the stages' challenges are in order : Tropius, Serperior, Palkia, Dragonite. 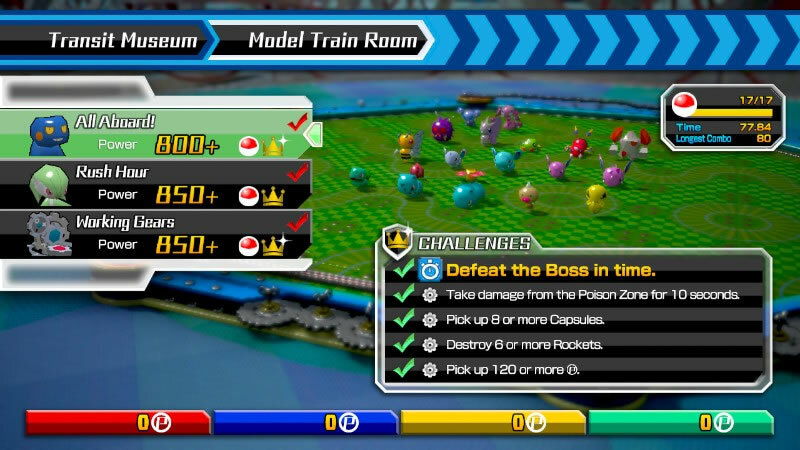 Conductor Room: Within this arena the player will fight the bosses Magnezone, Abomasnow and Rayquaza within the stages :"Rumbling Magnetic Motors", "Frozen Runaway" and "King Of The Sky". The challenge rewards for the stages are in order Raikou, Regice and Tornadus. Verdant Plaza: An arena with two bosses found in the second and thrid stages. The first stage is "Four Seasons In The Forest", the second one "Battle Royale" and the third "Green Hide-And-Seek". The challenges rewards for the stages are in order Uxie, Azelf and Mesprit. Magical Lake: The bosses Zoroark, Wigglytuff, Infernape and Garchomp are fought here in their respective stages "Protect Pichu In The Forest", "Let's Sing A Song", "Dual Launchers" and "In Need Of Trees". The challenges rewards for the different stages are in order : Pichu, Suicune, Entei and Landorus. Melodious Woodland: The final arena battle. There are three stages; "A Colossal Throwdown", "A Major Clean Up" and "A Lively Concert",with their respective bosses Regigigas, Spiritomb and Meloetta. The challenges rewards for the three stages are in order: Giratina, Metagross and Deoxys. 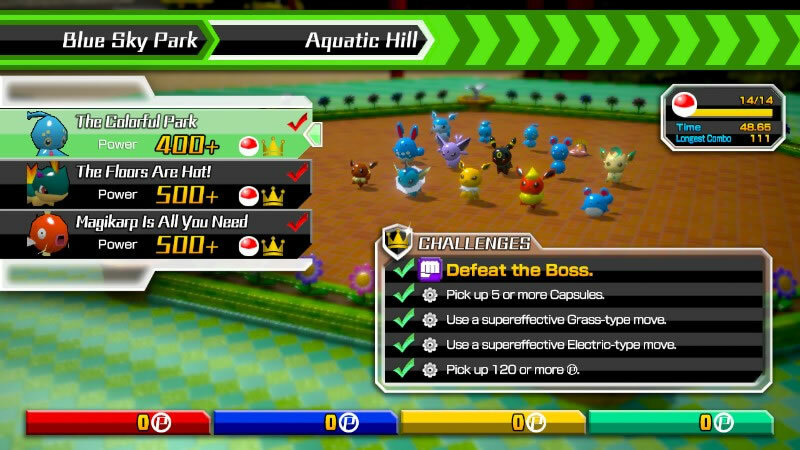 Pokémon Rumble U added a new feature to its battles. Now items will randomly spawn into the battle field or will be dropped by Magnemite. Each item offers a beneficial effect and assist the player to clear the stages faster. Dice A dice that causes a random effect to happen, whether enhancing the player stats, the enemy stats or even alter the battlefield itself. 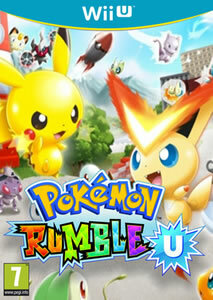 Check out these videos of Pokémon Rumble U including trailers and the intro video. 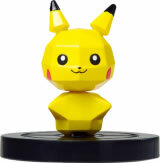 Even though it was never stated by Nintendo, some of the Super Smash Bros. amiibo figures are compatible with Pokémon Rumble U's NFC feature. 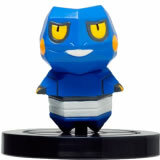 The amiibo's in question each have a unique Pokémon it will read as. Theres a bug whereby Meloetta the last boss, restores its full health when it changes to Pirouette Form. Unlike the other rumble games, the befriended Pokémon can't have special abilities, and it's a feature only the NFC unlocked Pokémon have. The Shiny Pokémon have nothing special compared to their normal versions. The NFC Feature allows any NFC compatible technology to be scanned while playing, including bank cards. 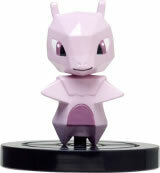 Doing so, will result in a random Pokémon appearing and random effects happening. 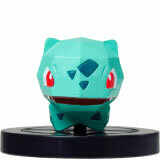 If the player scans a figurine while in battle, the Pokémon will actually spawn and help them. A small amount of data was revealed about the game sales. In Europe, the game sold around 1650 copies in 2014 and around 2000 in the year 2015, while it sold globally, 1750 in 2014 and around 2100 in 2016, with 95.3% of the sale being conducted in Europe. 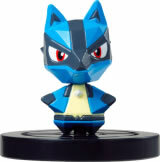 No official numbers were released about the Japanese and the North American regions. Will Greenwald of PC Magazine thought the game was repetitive and "the arenas are all shaped the same and there's so little variety in the action", rating it 2/5, which equates for "Fair" on their scale. 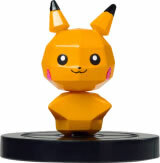 Chris Carter from Destructoid thought the toys were a fun addition to the game, but still believed that Pokémon Rumble U is only a game a die-hard Pokémon Fan will like, giving it a 6/10, the equivalent of "All Right" on their scale. Neither of IGN or GameSpot reviewed the game, but GameRankings rated it 48.82%, over 17 reviews, while it received 49% over 22 critics, on Metacritics. Both review scores are considered below average, especially for a Pokémon Game. Overall, the game wasn't as good as the fans expected it to be. As it merely copied the features of its predecessor and only improved the graphics, ending up as a monotonous game.